Villa is situated in the direct vicinity of the sea, overlooking the nearby islands and the ancient cities of Dubrovnik and Cavtat. 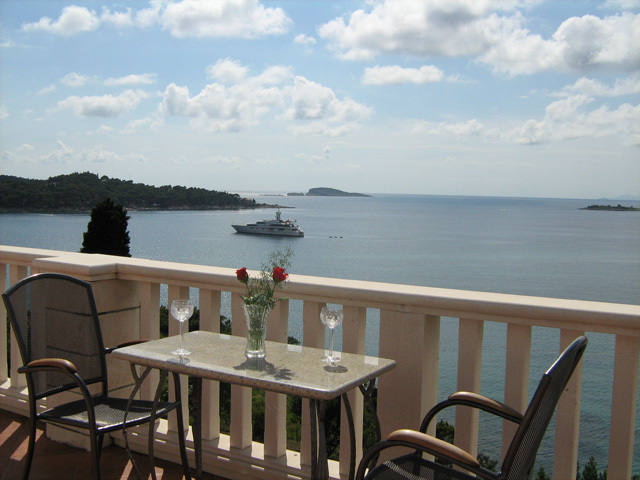 Visitors are unanimous that the view from the Villa is among the most beautiful on the entire Croatian coast. Underneath the Villa, just 40 meters away, is the first crystal clear beach (pebble/sand). Several other beaches are in direct vicinity including a nudist beach situated on an isolated location just 10 minutes walk from the Villa. Beaches are clean and the sea in clear. No other buildings in direct vicinity and no traffic! ....and several other possibilities that can make your holiday more pleasant and interesting. 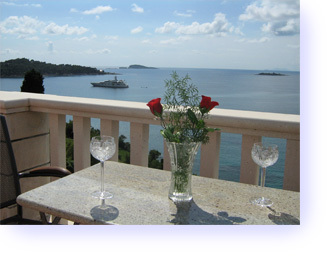 Cavtat offers excellent variety of restaurants and bars.